There are numerous ferry crossings operating from Singapore to Batam. Ferries currently connect 2 ports in Singapore with 5 ports in Batam. There are a combined number of 79 ferry crossings each day across a selection of 7 Ferry Routes which are operated by 4 ferry companies including Sindo Ferry, Horizon Fast Ferry, Batam Fast Ferry & Majestic Fast Ferry with the shortest crossing taking around 50 minutes (HarbourFront Centre to Sekupang). This is a general summary of the services on offer between Singapore and Batam, for live information select from our Fare Search. Despite being such a small country, Singapore has developed into a major commercial hubs with one of the world’s biggest financial centres. 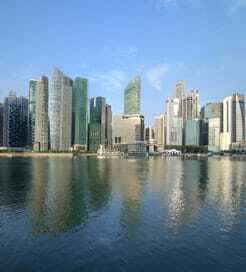 On top of being a great destination, Singapore is also a great hub for onward travel to neighbouring islands. Ferries depart Singapore’s two main ferry terminals at Harbourfront Centre and Tanah Merah and sail to numerous destinations in the Riau Archipelago including to Batam, Bintan and Great Karimon Island. The majority of ferries from Singapore sail to Batam, just twenty kilometres across the Singapore Strait with a choice of five destination ports dotted across Batam Island’s northern coast. Ferries are comfortable, fast and operate daily, all year round. Ferries to Batam depart from the Habourfront centre ferry terminal. The bustling island of Batam can be found in the Riau Archipelago of Indonesia. Years of hectic development followed Batam’s designation as an industrial free trade zone and whilst the island has become more crowded, it provides the perfect mix of business and leisure. 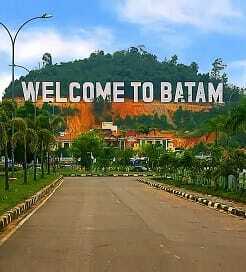 Batam is now the third busiest entry point into Indonesia, after Bali and Jakarta. Due to its proximity to Singapore, numerous top class hotels and resorts, golf courses and tax free shopping malls, Batam has become a popular destination for local residents and international tourists alike. High speed and year round ferries sail to Batam Island from Singapore’s Harbourfront centre ferry terminal, which is around twelve miles away across the Strait of Singapore. In general the ferries are purpose built modern passenger only crafts with a choice of standard or business class seating on offer. The ferry terminals at Batam Centre and Sekupang are where the majority of ferries come in to, Harbour Bay terminal is generally the destination for passengers for Nagoya, the islands business centre, while the terminals at Waterfront City and Nongsa are mainly used by tourists bound for Batam’s resorts.